The polyester uses a polyester film for its dielectric which sits between the two capacitor plates. It is the properties of this dielectric that gives the polyester capacitor its unique properties. Circuits where the capacitor needs to handle high peak current levels. General coupling and decoupling applications and DC blocking. Filtering, where high tolerance levels are not required. Power supplies where the very high capacitance elvels of electrolytic capacitors are not needed. 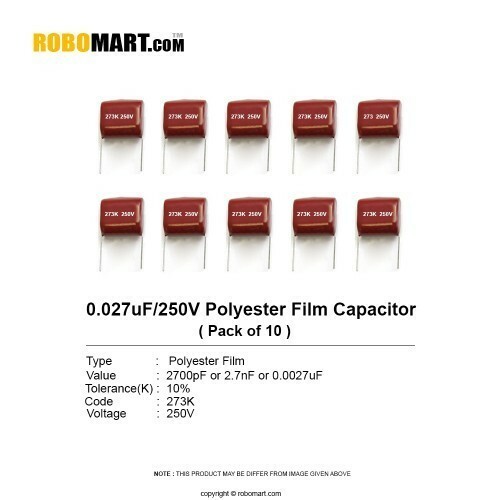 Also Searched as : 2700 pf capacitor, 0.027 uf electrolytic capacitor.